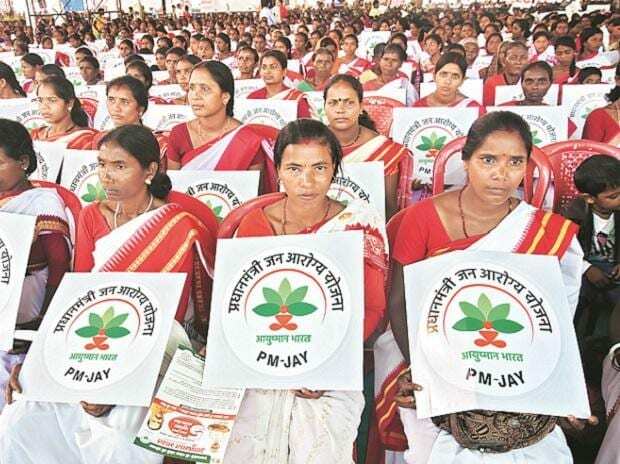 With the crucial 2019 Lok Sabha elections underway, the ruling Bharatiya Janata Party (BJP) is looking to capitalise on the ‘goodwill’ generated by the flagship central government universal healthcare scheme Ayushman Bharat or popularly dubbed as Modicare. Modicare, touted as the world’s largest public-funded health insurance, is targetted to benefit more than 500 million people in India. In UP, the scheme is estimated to cover 11.8 million poor households comprising 60 million people, thus accounting for 12% of the total beneficiaries. So far, nearly 3 million beneficiary cards have already been generated in UP, which is more than 10 per cent of the total count pan India. Modicare promises providing no-frills medical care cover of up to Rs 5 lakh per family per year. “It is for the first time that the deprived class can get the best and cheap medical care in the public and private hospitals,” UP health minister Siddharth Nath Singh told Business Standard adding on an average about 1,000 patients were getting treatment under the flagship scheme on a daily basis in UP. Besides, the state has already empanelled 1,718 hospitals under Modicare, of which 82% or 1,415 had been activated for free treatment to beneficiaries. So far, more than 100,000 patients had already been given medical care under the scheme in UP. He observed the ‘success’ of the scheme had indeed created a positive sentiment about the government that rather than giving empty slogans of removing poverty, the state was actually doing something concrete on the ground for the poor. “When you do something good for the people, you also receive their blessings,” he noted while sounding optimistic of the scheme having a positive impact on the electoral outcome of the ruling party, which is currently locked in a bitter three-cornered battle against a resurgent Congress and the pre-poll alliance or ‘Mahagathbandhan’ of Samajwadi Party (SP), Bahujan Samaj Party (BSP) and Rashtriya Lok Dal (RLD). To supplement Modicare, the Yogi Adityanath government had on March 1 launched another healthcare scheme to provide free medical aid to the households, which could not be covered under the central scheme. UP’s ‘Mukhya Mantri Jan Arogya Abhiyan’ will benefit nearly a million households or 5.6 million bottom of pyramid beneficiaries deprived of Ayushman Bharat-National Health Protection Mission Scheme (NHPMS). In Annual Budget 2019-20, the Adityanath government had already allocated Rs 111 crore for the scheme, which would provide free medical cover of up to Rs 5 lakh per family per annum to beneficiaries. Together with Modicare, the state government would provide medical umbrella to over 65 million people or more than 15 million households in UP. In the Budget, the state had also allocated Rs 1,298 crore for Ayushman Bharat, while a provision of Rs 291 crore was made for Pradhan Mantri Matr Vandana Yojana, apart from Rs 47.50 crore for setting up of 100-bed hospitals across the state. The government is also setting more up more medical colleges. Recently, Ayushmann Bharat Pradhan Mantri Jan Arogya Yojana (AB-PMJAY) CEO Indu Bhushan had claimed the reduction in overall cost of treatment under Modicare was more than 50%. Speaking at a Confederation of Indian Industry (CII), he said without cost subsidy offered by Modicare, the bargaining power of the scheme would have been Rs 5,500 crore, instead of the total spend of Rs 2,500 crore.